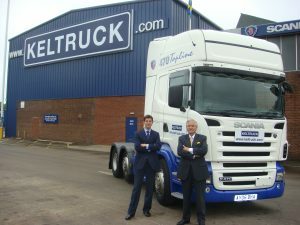 Keltruck’s Chairman & MD, Chris Kelly, & Marketing Director, Chris D. Kelly, have been short-listed for the shouth region final of the Ernst & Young Entrepreneur of the Year Awards. Several top West Midlands business leaders are in the running for the title of Entrepreneur of the Year. The area’s leading business professionals have been short-listed for the south region final of Ernst & Young’s Entrepreneur Of The Year Awards. Alan Malik, managing director of Exasoft; Richard Harpin, chief executive of Homeserve; Chris Kelly and Chris D Kelly, chairman and marketing director respectively of Keltruck; Roger Medwell, the chief executive of NP Aerospace; and Peter Robbins, managing director of Probrand, are among the business men and women from across the South of England who will be competing for the regional title. The winners will be announced at an awards banquet on June 19 at the Hilton London Metropole Hotel, before going on to compete in the UK final later this year. 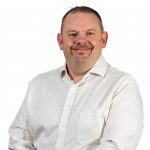 Ronnie Bowker, Ernst & Young’s senior partner in Birmingham said: “The West Midlands has a thriving and dynamic business community and it is encouraging to see that the cream of the region’s entrepreneurial talent will be represented at this year’s Entrepreneur Of The Year awards. “Entrepreneurs are the life blood of the UK economy and so it is vitally important that programmes like EOY continue to recognise their achievements and the contributions they make. The Entrepreneur of the Year awards programme has been running for ten years in the UK. It has recognised the achievements of some of the West Midlands’ finest business men and women. The South Region Entrepreneur of the Year award winners will be decided by a panel of independent judges, who this year include: Terry Burt of 2e2, Chris Harrison of Leaders’ Quest, Peter Harris of Hotel Chocolat, Clive Beharrell of Fat Face, Tom Black of Detica and Jamie Pike formerly of Foseco International. Click here to read more or see www.eoy.co.uk for more details.